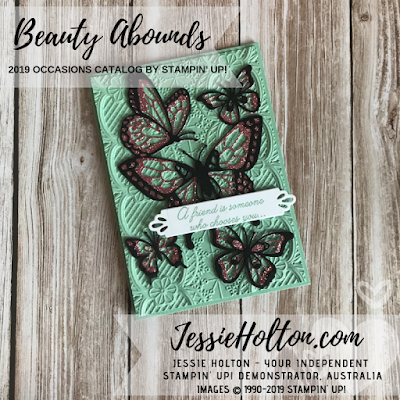 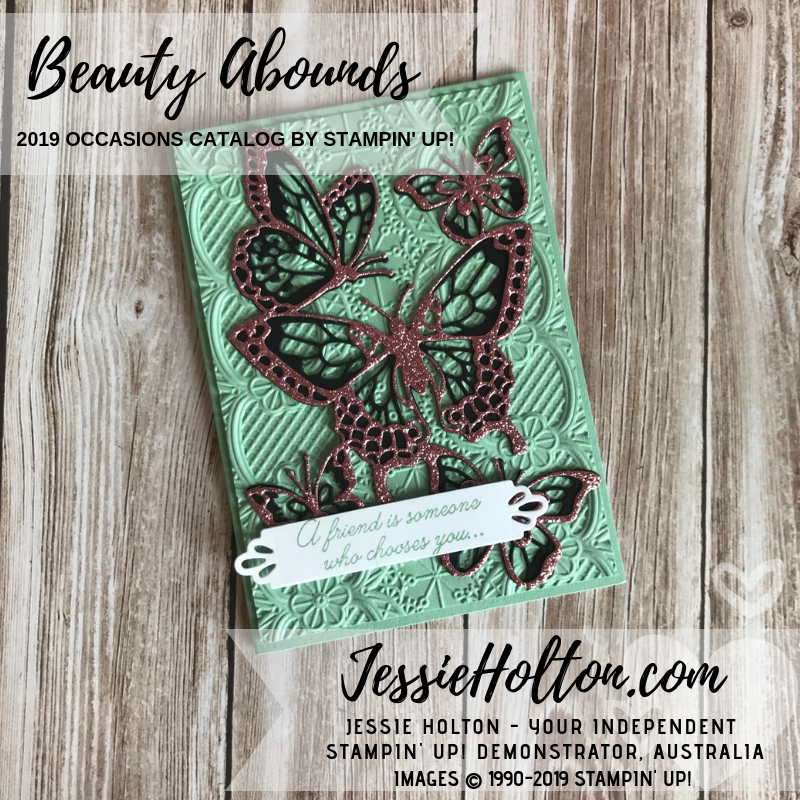 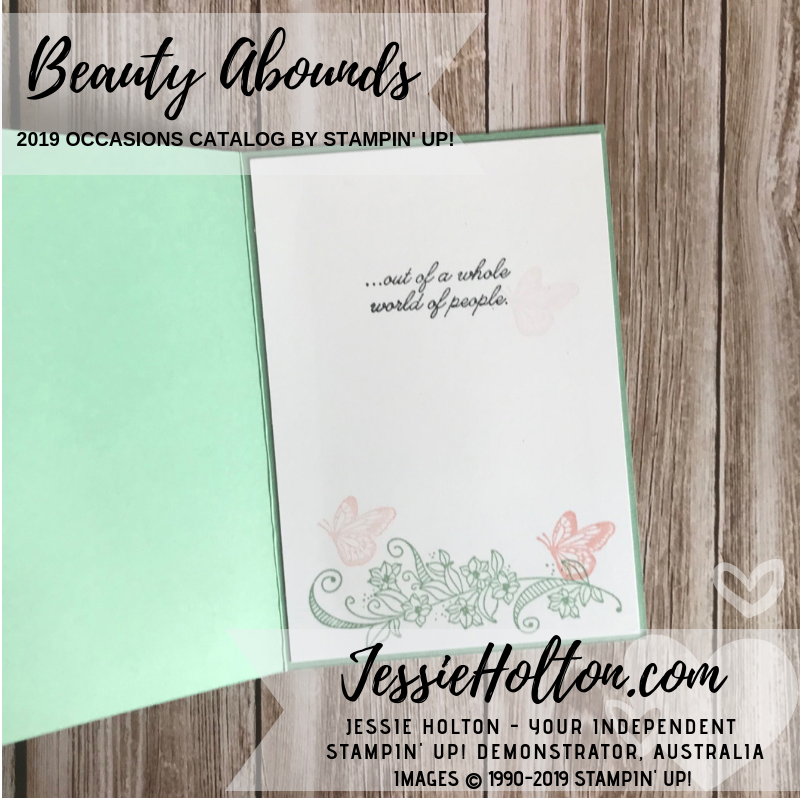 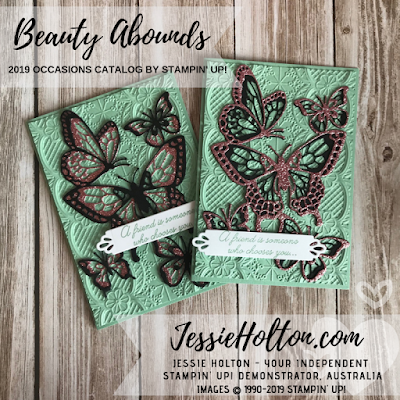 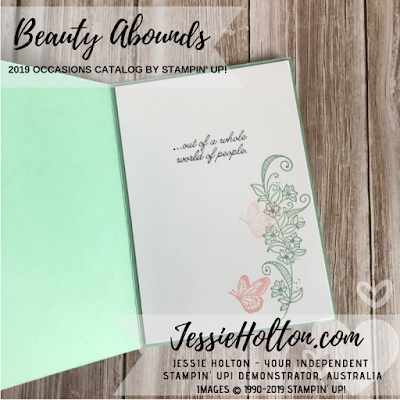 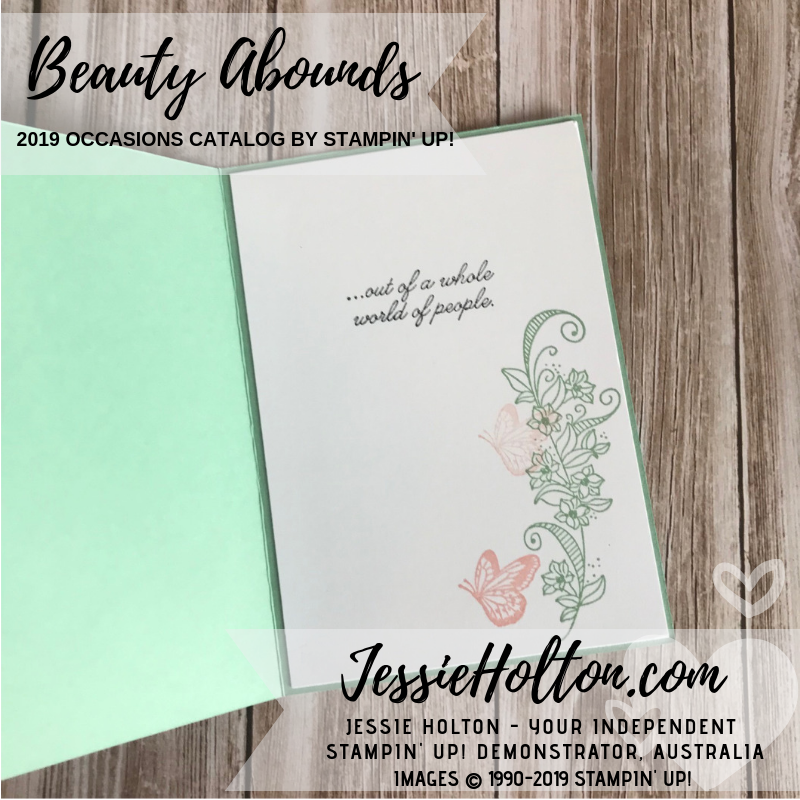 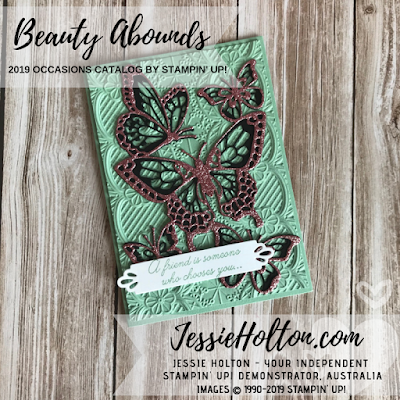 Today I'm showing you the absolutely stunning Butterfly Beauty Thinlits Dies that come in the Beauty Abounds Bundle. 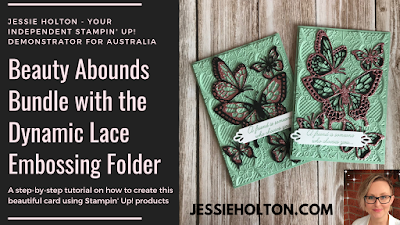 I have also used the Dynamic Lace Embossing Folder & both of these items have so much detail, they are just beautiful. 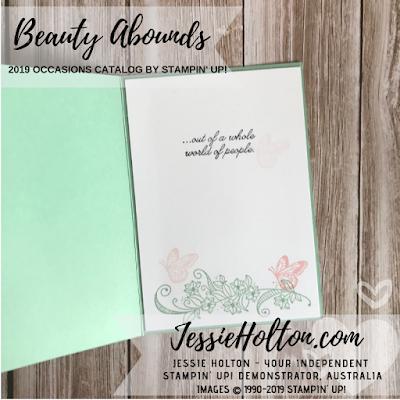 I have used Mint Macaron & Basic Black Cardstock with Rose Glimmer Paper. 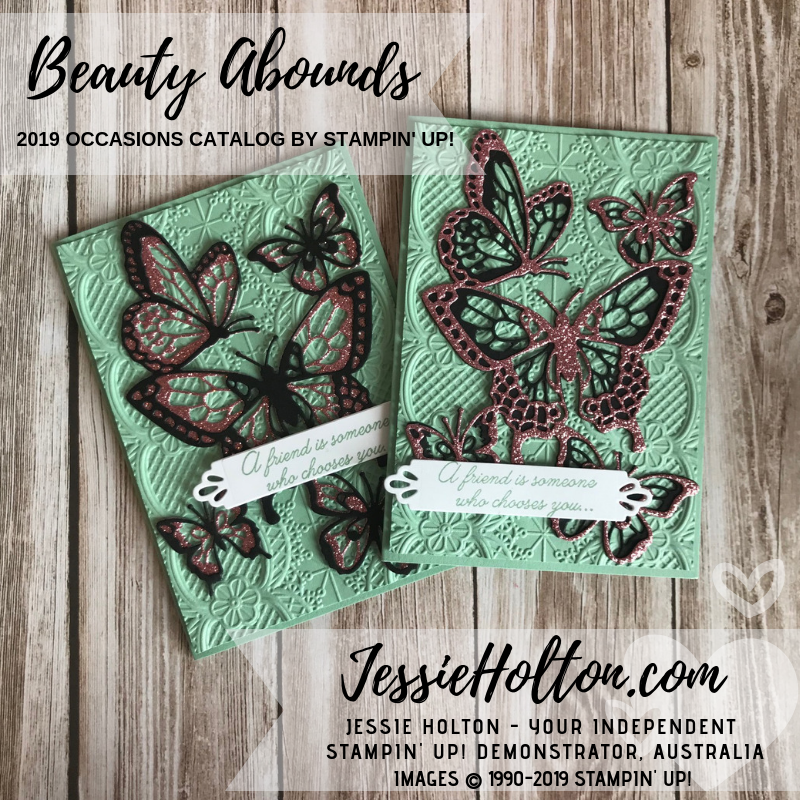 I have used Adhesive Sheets on the back of the dies before I cut them & you will definitely benefit from having a Die Brush to get all the little details out of the butterfly dies. 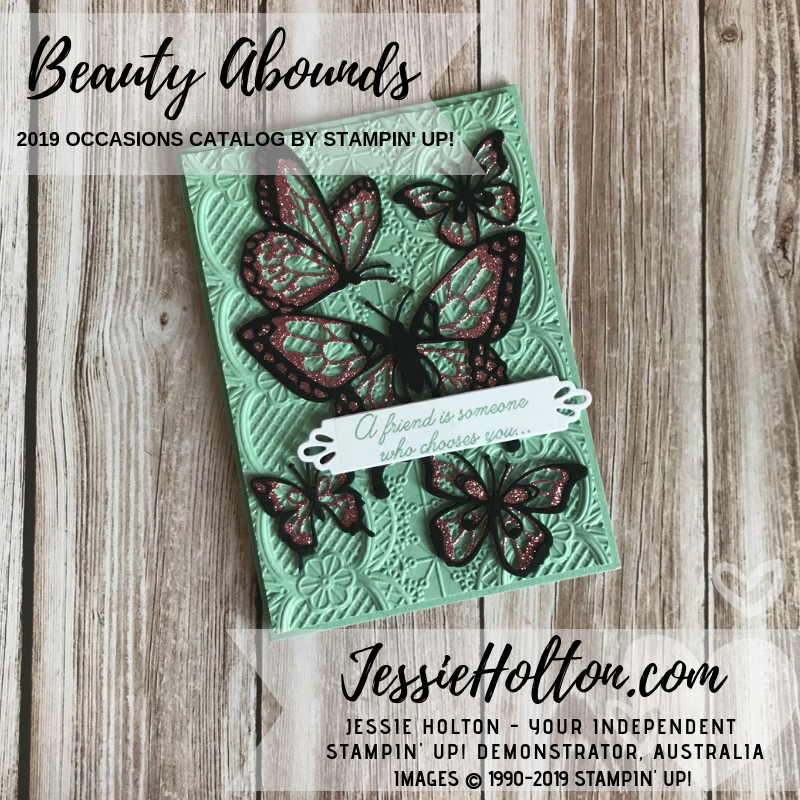 The die cut around the sentiment is from the Needlepoint Nook dies.